Update your casual wardrobe with this t-shirt. 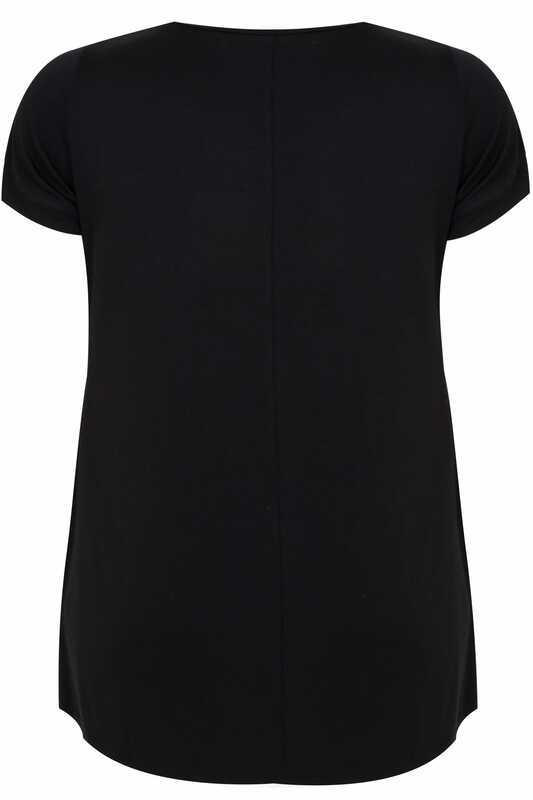 Made from a stretchy jersey fabric, it features a simple scooped neckline, short sleeves and a curved hem for more coverage. Team with denim and flats for daytime appeal. 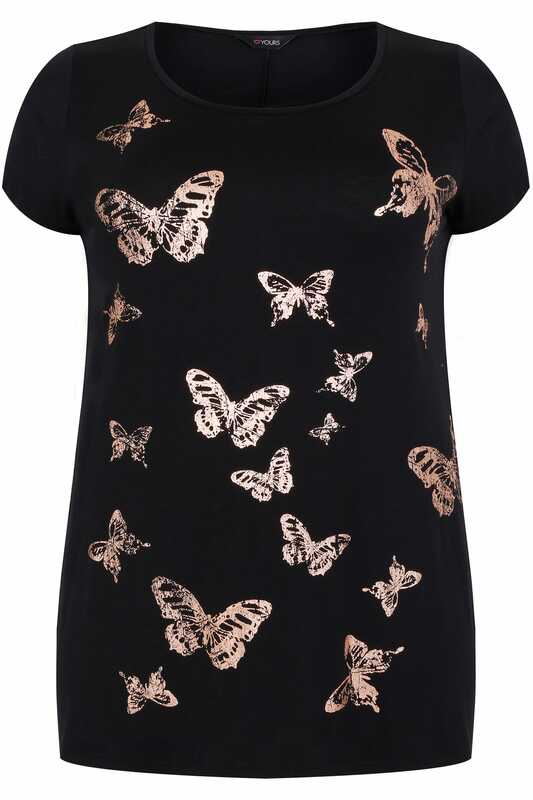 Loving its on-trend butterfly print with a copper foil finish.